This month would be great for you as I’m back with my next giveaway which will give you premium stuff for free of cost. If you are planning to start your next blog and looking for some great themes & plugins then You can win them here for free. Before proceeding further,I want to thank my sponsor who has given these awesome goodies to giveaway on our blog.Now,I am proudly announcing the gifts as 3 annual membership of WPEka club. WPEka Club is a premium WordPress Package with captivating themes, great utility plugins and quality video tutorials. 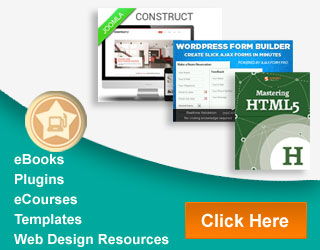 Powerful & Simple WP Plugin Easy to install & use WordPress Plugin. Add legal Pages to your website in less than 5 minutes! 17 built in Lawyer approved legal page templates to choose from. Super easy to install. Just upload the zip file, fill in your business information to be injected into the pre-made templates, and then choose which templates out of the library you want to publish, click the button and you have your legal pages up! WP Local Plus is the ultimate automated local business directory plugin which allows you automatically create content packed,business listings, coupon offers and Google Maps integration, and much more, right from within your WordPress blog. No other WordPress plugin does what WP Local plus does. The Complete Advertising Management Plugin for WordPress . It controls every aspect of advertising.Place your own banners anywhere on your site . Rotate banners or place multiple banners in one Ad-Zone. Automate your income – let Advertisers signup, place their banners & pay with Paypal. When you add WP Auction Software is another great plugin which comes lots of features.You’re new Auction Site will be more powerful and more reliable than any other stand alone Auction Software application and because our Auction Software is for WordPress, it’s priced affordable, which means you’ll do it much cheaper and more reliable than other Auction Software provider. Many more WordPress plugins also available. Click here to check them. CTR Theme Plus (for WordPress) makes it easy to build informational websites monetized with AdSense that get awesome click-through rates (CTR). CTR Theme Plus makes it simple to turn almost any niche into a winner in just a few seconds.Google AdSense representatives occasionally contact high-earning websites to recommend ad placement improvements. CTR Theme Plus implements the Google-recommended placements that have helped niche sites earn over $4,000 per month (and sell at auction for as much as $80,000). Decisive is a slick web 2.0 business wordpress theme on the Chimera Themes Framework.Decisive Theme comes with 5 beautiful color schemes available, portfolios, an unlimited number of custom sidebars, icons and more than 20 shortcodes for creating content boxes, layouts, contact forms and more! AppPress WordPress Theme will help you to create the perfect blog, affiliate, product, or service site. AppPress is all about showcasing things – it lives to make your content the center of attention in a fresh, elegant manner to be aperfect place for affiliate service and products.Create custom layouts with our premade shortcodes for columns, content boxes, testimonials, buttons and many more. AppPress comes with 5 unique styles, two homepage featured areas, shortcodes, sidebar generator and many more. Many more WordPress Themes also available. Click here to check them. There will be 3 Winners in this Giveaway.Each Will get A yearly membership of WPEka Club. Anybody can enter in this Giveaway. This Giveaway Will Expire on 24 January 2014. Why you want to win this giveaway? Answer this question through commenting on this post. Must Subscribe To DealFuel To get entry in this Giveaway. Must Subscribe To DealFuel To get entry in this Giveaway. You can subscribe them with the help of below subscribe box. Winners Will Be Announced after 24 January 2014 on this page.If you have not subscribed then you will be not eligible for the prize. Don’t forget to bookmark this Page. Bonus Tips : Try to collect maximum Points to chosen as a winner.You can retweet this post again( daily) to increase your points. You are right my bro, this giveaway is truly awesome. I am really thankful to DealFuel who gave me these membership for giveaway.. Best of luck..